According to information from Ba Dinh District People’s Committee, it is expected that July 6 will dismantle the tower cranes at building 8B Le Truc for repairing, maintenance, safety. 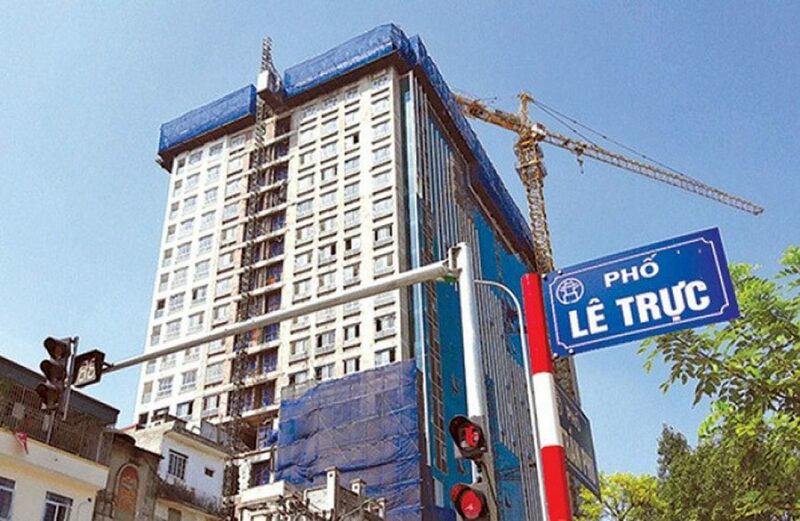 People’s Committee of Ba Dinh district said the dismantlement of the first stage violation (19th floor) of building 8B Le Truc has been completed from October 2016. Since then, the design of the dismantle design, encountered many difficulties due to the structure is complex, located in the crowded residential area, which requires absolute safety and environmental sanitation. implementation process. At present, the People’s Committee of Hanoi has assigned the Department of Construction to study the plan to dismantle the second phase on the principle that the wrong way to handle it. When there are plans, the People’s Committee of Ba Dinh district will deploy dismantle the second phase in accordance with the regulations. According to Ba Dinh District People’s Committee, while waiting for the second phase dismantling project, the site always maintain a tower crane to deploy immediately dismantle. However, to date tower cranes need to be maintained, repaired. District People’s Committee has asked Thang Long Company (its owner) to dismantle for maintenance, repair to ensure safe operation. After the maintenance, repair of the tower crane will be rebuilt, ready to dismantle the violation phase 2 of the building. It is expected that the dismantling and maintenance of the tower crane will be implemented from July 6 . In a recent development, Northern Infrastructure Joint Stock Company – Northern Corporation (Northern Company) has sent a document to the People’s Committee of HCMC. Ha Noi contributed comments, proposal for phase 2 final disposal and dismantle tower crane, cage hoist at the wrong work 8B Le Truc. Northern Company said that in order to maintain the discipline of water, it is necessary to thoroughly handle the second phase of illegal house 8B Le Truc, unable to handle half the administrative punishment to survive, people will not serve. According to the assessment of the Northern Company, currently in the rainy season, the treatment of the second phase 8B Le Truc still has no official decision from the authorities. Moreover, the storage of tower crane and hoist hoist since the end of dismantling on October 27, 2016 exposed to frost, sun exposure more than 19 months (nearly 2 years) so the risk of unsafe is very high . Therefore, the company continues to ask for comments and suggestions to thoroughly deal with the illegal home 8B Le Truc in the direction of saving resources for society, ensuring both water interests and interests. 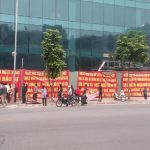 Phuong Bac Company has been implementing the instruction of the City Party Committee, Ha Noi People’s Committee completed the task of cutting the first stage (19th floor), illegally house 8B Le Truc street, Ba Dinh district, Hanoi (house 8B Le Truc is licensed building 18 floors, has built 19 floors). 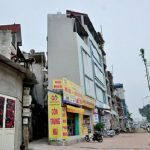 You are reading the article The violation at 8B Le Truc: To dismantle the tower crane for maintenance in the Real Estate category at https://realestatevietnam.com.vn/.Any information sharing, feedback please email to info@realestatevietnam.com.vn, Hotline 0909890897 (24/7).